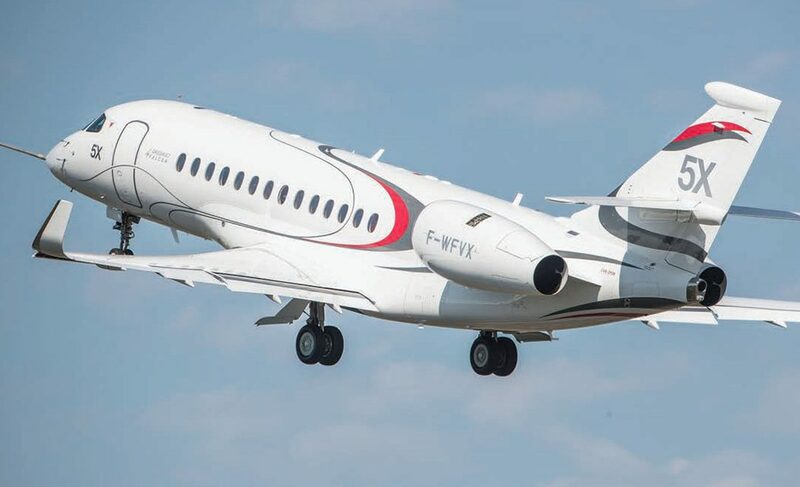 More than two years after its roll-out before an audience of over 100 guests, the Falcon 5X finally took off from Dassault Aviation’s Bordeaux Merignac facilities. A welcome development for the aircraft manufacturer that may now resume progress on its aircraft program. On July 5 the teams of the Falcon 5X program were finally able to move forward after nearly two years of waiting to see the first prototype take off. A huge relief. Yet this first flight represents above all a new step leading pilots and engineers into a very tight development schedule in order to ensure the entry into service of the first models of the aircraft in 2020. At 10:30 in the morning on July 5, Dassault’s Bordeaux Merignac facilities resonate with the sound of the two Silvercrest engines pushed to their maximum power. 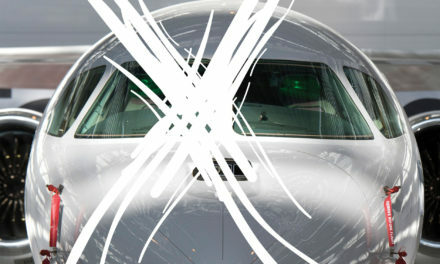 A sound that has been long awaited and which signals the take off of the first Falcon 5X prototype. On board the aircraft, two test pilots: Philippe Deleume and Philippe Rebourg. The crew’s two-hour flight went off without a hitch. A success that however hides another reality: that this not really the first flight. The engines installed on the aircraft are actually a preliminary version of the Silvercrest engine which has been plagued by development problems leading to a delay of nearly four years from its initial schedule. Dassault is currently faced with the constraint of performing a limited number of preliminary test flights before receiving the final engines expected in early 2018. This first flight has been eagerly awaited, PROTOTYPES especially by the engine manufacturer. It also kicks off an advanced flight test campaign that will enable preliminary airframe and systems data to be collected, which until now could only be obtained through ground tests. 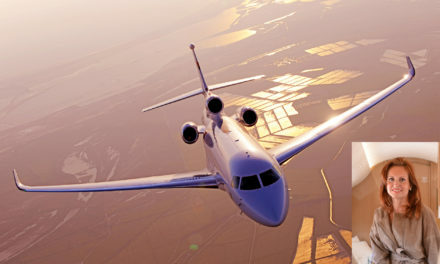 For Dassault, these flights will only last a few weeks, the time to make some progress on the development program. 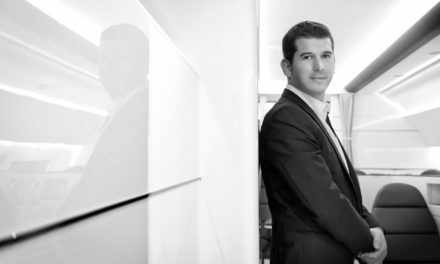 Eric Trappier, CEO of Dassault Aviation, stated: “We’re committed to limiting the consequences of the four year engine development delay as much as possible and the short preliminary flight test campaign is part of this effort”. The rest of the program that will include validation and certification tests will be performed next year once the final engine is received. Regardless, Snecma must respect the schedule that was announced and validated with Dassault in order to be able to continue the rest of the tests on time. 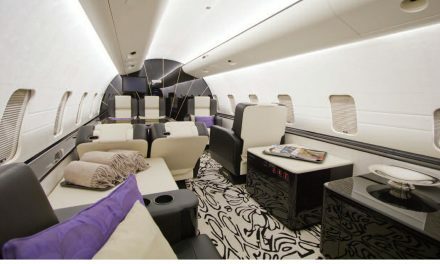 The CEO stated: “We will closely monitor the validation tests on the modified Silvercrest, which are scheduled by Safran in the few coming months, as their results will be critical for meeting the 5X entry into service in 2020.” With the engine in the works, Dassault Aviation can now focus on the four prototypes to help advance the major flight testing program. Three test aircraft will therefore be used to launch the flight and system tests (MSN1), performance assessment (MSN2), as well as the cabin systems and extreme conditions testing (MSN3). The fourth prototype will be a pre-series aircraft used for demonstrations. The aircraft manufacturer is expecting over 2,000 flight hours spread over 600 flights for a total of 20 months of intensive testing.